A Virginia real estate management company reached a $1.49 million settlement with the Department of Justice over unlawful attempted evictions of servicemembers. The DOJ clamped down on the company when it learned the company had violated the Servicemembers Civil Relief Act when it sought and obtained default judgments against 127 servicemembers. The DOJ became aware of PRG’s SCRA violations when Navy attorneys out of Norfolk, Virginia, reported the abuses. According to the complaint, the property management company obtained default judgments against the tenants without first submitting military status verifications. 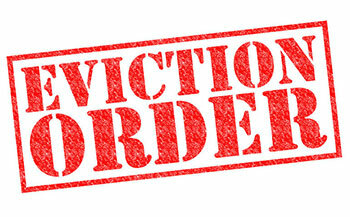 Unlawful attempted evictions of servicemembers can result from a number of transgressions. In fact, even beginning eviction proceedings against a servicemember without the proper documentation constitutes a violation of the SCRA. In this case, the PRG not only engaged in unlawful attempted evictions of servicemembers, but it also charged them early termination fees when they broke their lease — another violation of the SCRA. The DOJ has a history of filing complaints against property management companies and lenders who violate the SCRA. While there is no single type of successful defense, it can often help a defendant if the violation is discovered to truly be an error. However, in this case, the DOJ found that the company “engaged in a pattern or practice of violating the Servicemembers Civil Relief Act.” Thus, it was not a one-time error. Industry leaders warn lenders and other businesses dealing with the military to set up a system of checks and balances in order to put forth their best effort in following the SCRA. Brazenly skipping the simple and inexpensive step of obtaining military status verifications 127 times would be hard to portray as a clerical error, however. Besides the $1.49 million, the company must refund $34,920 to 10 servicemembers whom they charged early lease termination fees. The company and its co-defendants also must pay a federal civil penalty of $62,029. They must also pay the costs of repairing the aggrieved servicemembers’ credit. Courts are most likely to err on the side of servicemembers if there is any question as to who is at fault for a transgression of the SCRA. Thus, it is important for anyone who does business with members of the military to do their due diligence and obtain military status verifications. This will help protect them against charges of unlawful attempted evictions of servicemembers, unlawful levying of fines and fees against servicemembers, unlawful obtaining of default judgments against servicemembers and more. Why rely on the Servicemembers Civil Relief Act Centralized Verification Service for all your military status verifications? Because we provide you with definitive verifications, usually within 24 hours, we supply affidavits (Fedex available), and we offer automated, batch processing to large-volume users. Register or Log in to your account or contact us today.